If you can’t find exactly what you are looking for, check out our design your own page. Or feel free to give us a call and we can custom design one for you. 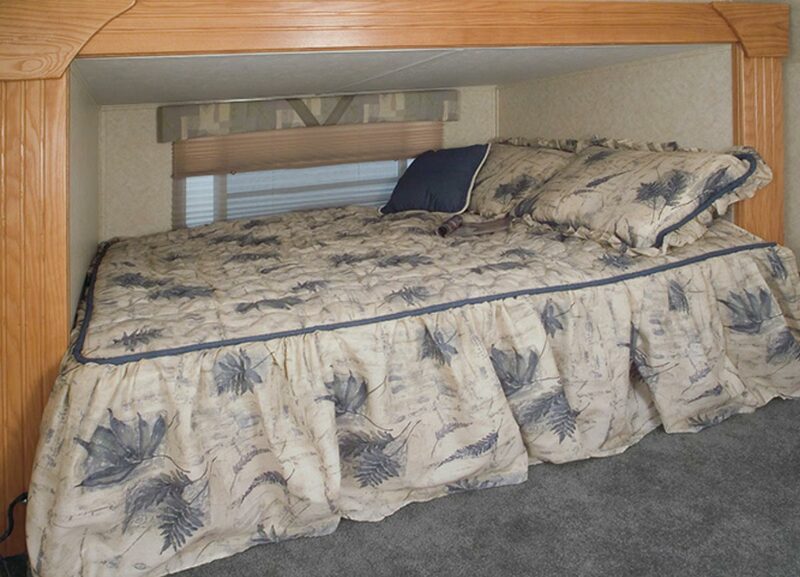 Here are a few more custom features that can be added to a custom trailer. 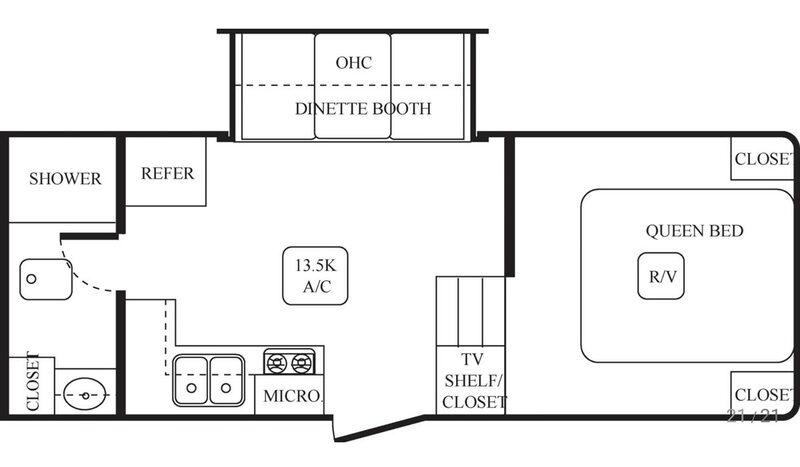 As well as a list of popular options that can be added to most of our standard floor plans. 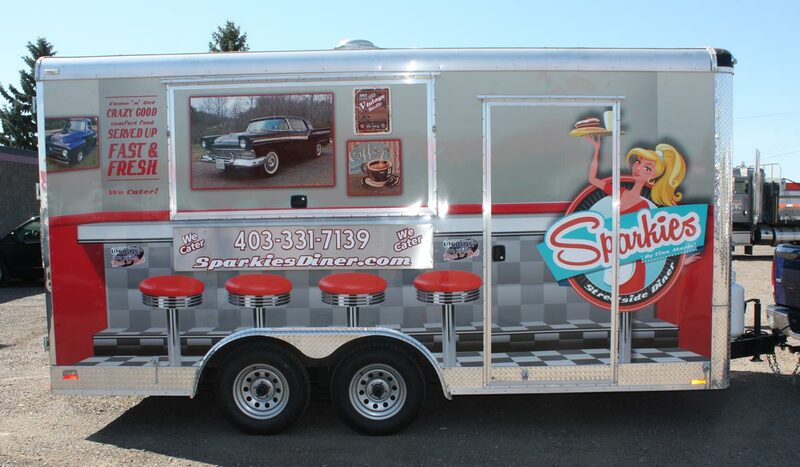 Our custom graphics and vinyl wrap package adds life and personality to the outside of your trailer and gives you a truly professional appearance that helps you stand out in a crowd. We know people decide what they want to eat with their eyes and their nose. A cleverly designed graphics package will take care of the eye part of the equation…the rest is up to you. 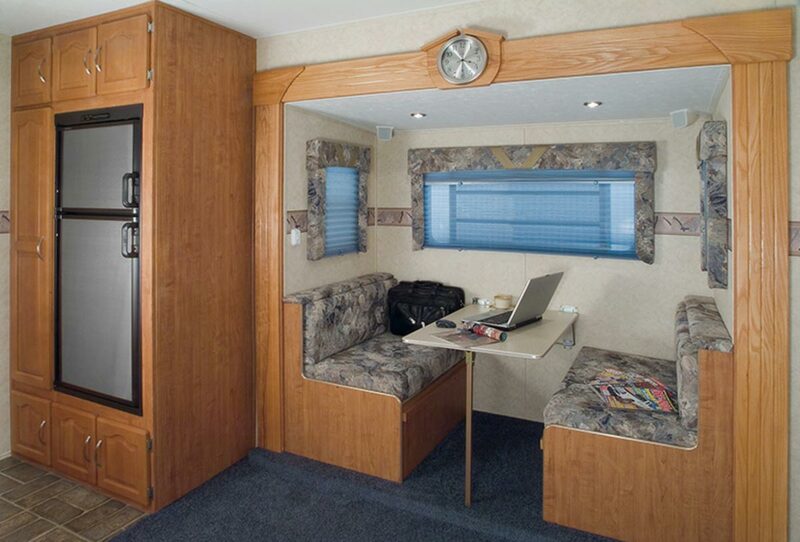 Our trailer interiors are fully customizable as an upgrade. You can choose interior cabinetry colors and layouts as well as lighted wall cabinets and utility closets. Although our most popular colors are our standard white or mill finished aluminum, we can customize the interior paint color to just about any color. The surfaces are all easy to clean and durable. All work top surfaces and sinks are stainless steel. 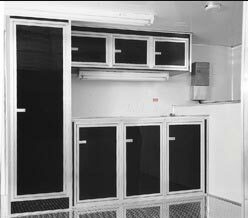 The number one complaint we here from health department officials when it comes to concession trailers is “NOT ENOUGH REFRIGERATION.” So, chances are, if you have ever spent time in a kitchen you know there never seems to be enough space in the refrigerator or freezer. 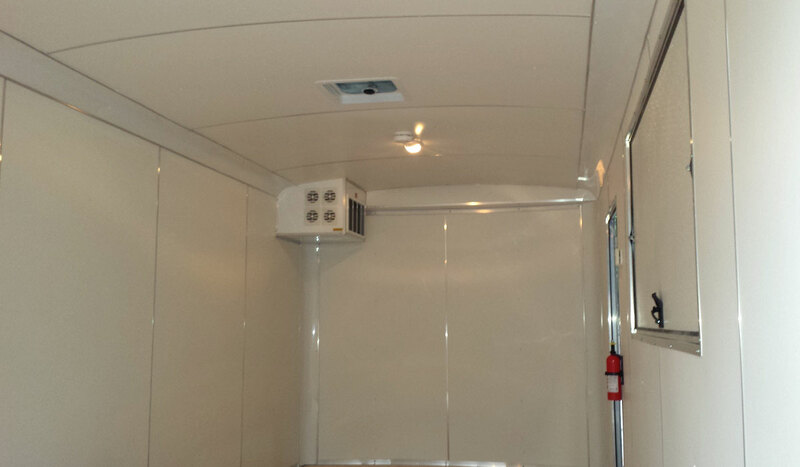 A walk-in cooler or freezer will add a ton of refrigeration space and can be added to any of our rigs. Let’s be honest, they are not cheap…but, neither is paying somebody to cart groceries back and forth between trailers, running to the store in the middle of a rush, or throwing away 100’s of pounds of food that went bad because a small cooler just couldn’t keep up. Granted, most people will find the standard refrigeration we offer in our rigs will be sufficient. 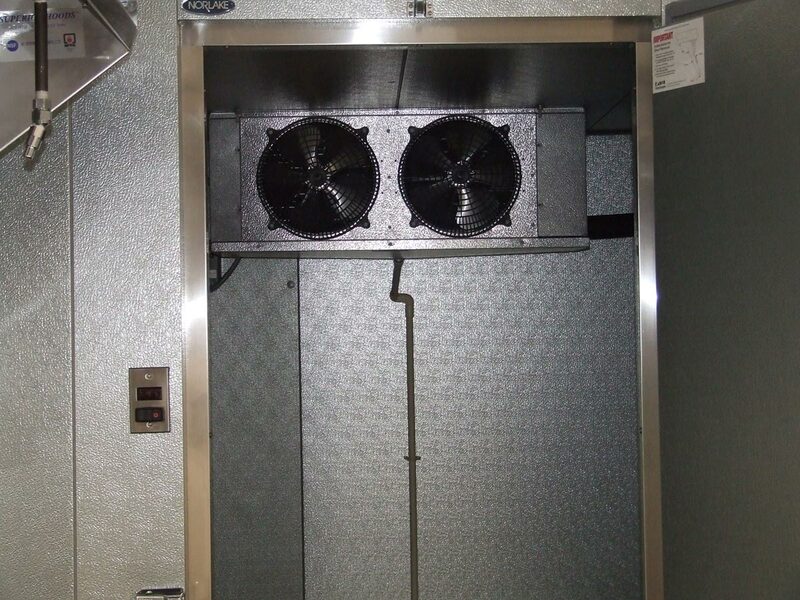 But, for those looking to do a lot of volume or buy in bulk, a walk-in cooler can be just what they need. Want to run your food trailer in any weather conditions? We offer a 4 season package that will keep you warm in the Winter and Cool in the Summer. 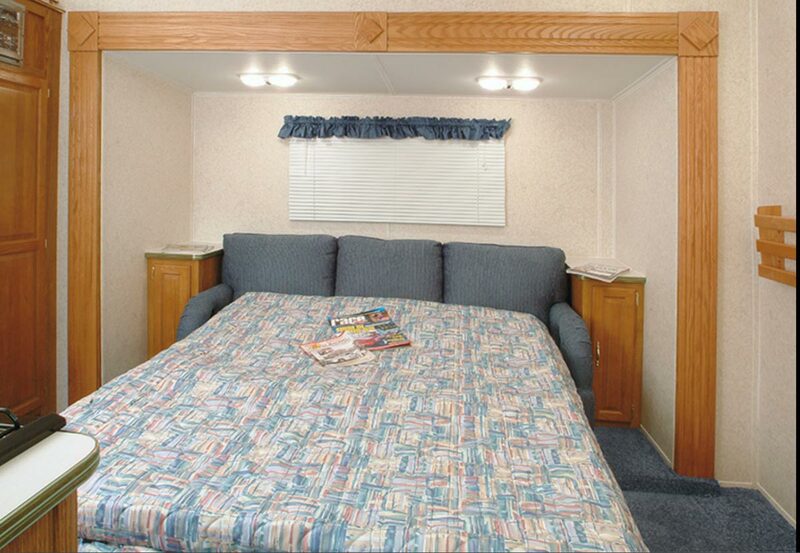 With our mini split system, you will be comfortable no matter what the weather conditions. 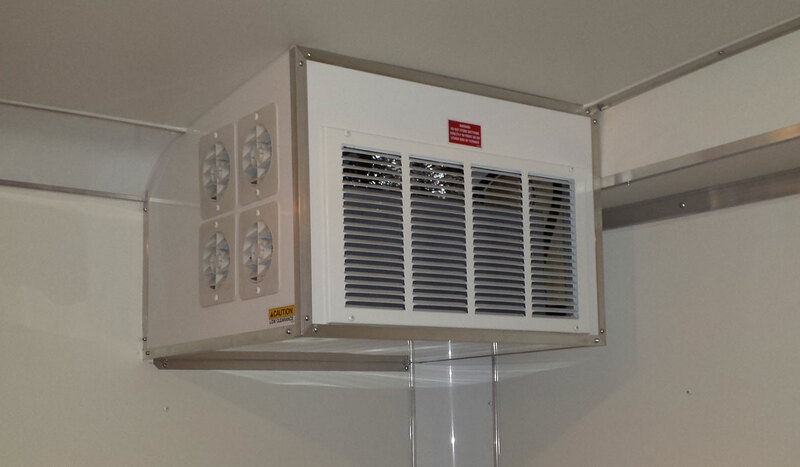 Keep the kitchen cool with a roof-mounted Air Conditioner. Nothing makes the interior of your food trailer more comfortable on a hot Summer day. A few things to consider before ordering your trailer with an on-board generator. We offer our generators as an option rather than a standard feature for a few different reasons. There are, like many things, pros and cons to having an on board generator. The Pros- they are of-course handy to have on board if you don’t have power available and are easy to use. Cons- They add a considerable expense to your build and most events that are “worth their weight” have power available. They tend to be loud and the exhaust can be off putting to someone looking to eat. Another thing to consider is that concession trailers are VERY hard on generators because of the way they use power. i.e. the constant on/off function of multiple appliances and heating elements. So keep in mind that when your on-board generator needs to go in for servicing your trailer will be out of commission too…sometimes for weeks on end. Many people choose to purchase a separate generator and keep it in the back of their pick up in case they need it. That way if and when it needs to be repaired, it can go in to the shop for repairs without putting their trailer out of commission. Just a few things to think about. 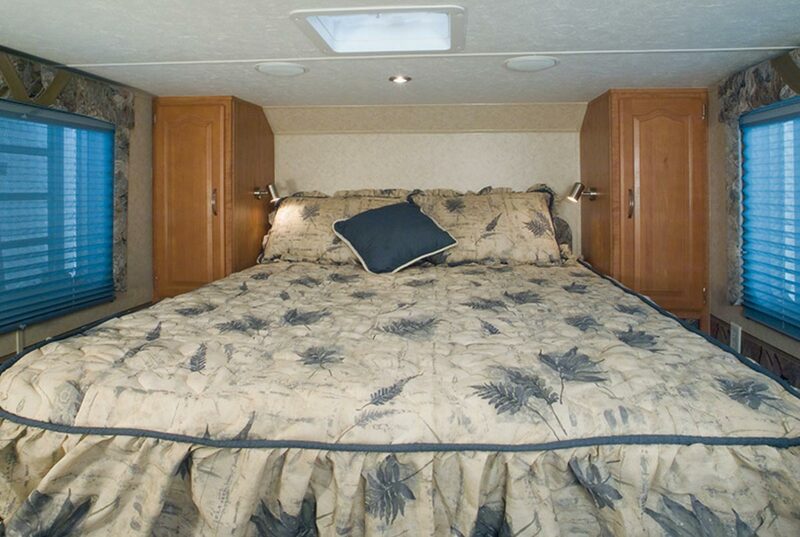 Many do want the convenience of a generator on board so we do offer them. 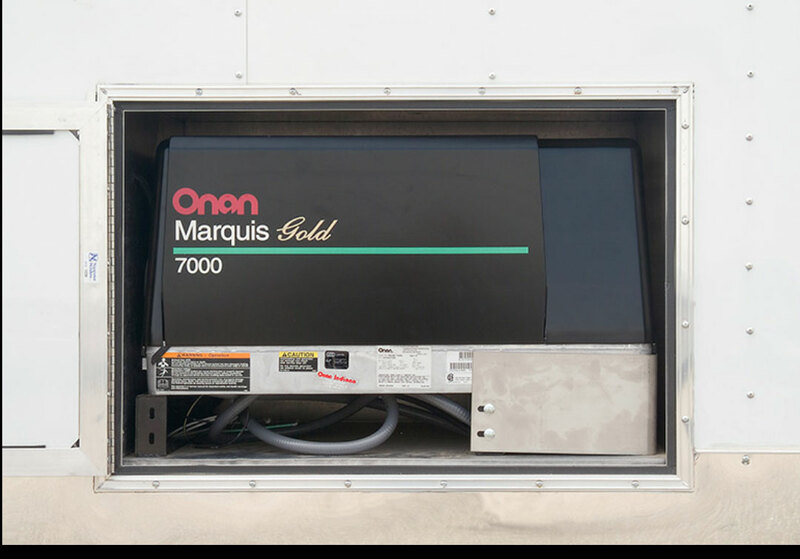 Our generator package includes a 7000-watt propane or gas generator enclosed neatly in a sound insulated access bay. It can be started outside at the unit or by a push button starting switch inside your rig. 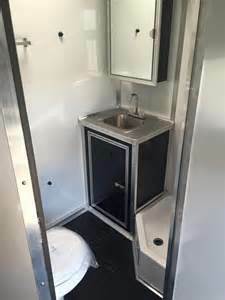 A self-contained bathroom can be designed in to most of our rigs. 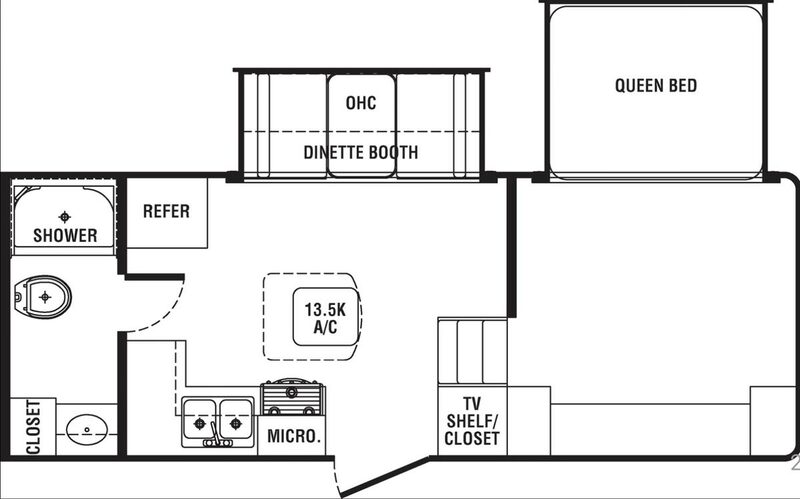 They include a toilet, a separate hand washing station, and a storage cabinet. A small shower can be installed also if needed. Though they are not particularly “roomy,” they can be awfully handy to have on board in a pinch. In accordance with most health codes across the US and Canada, they are accessible from the exterior of your rig and are mechanically vented to the outside. They have a waste system that is completely separate from your kitchens system as well so there are no concerns with bacterial contamination. 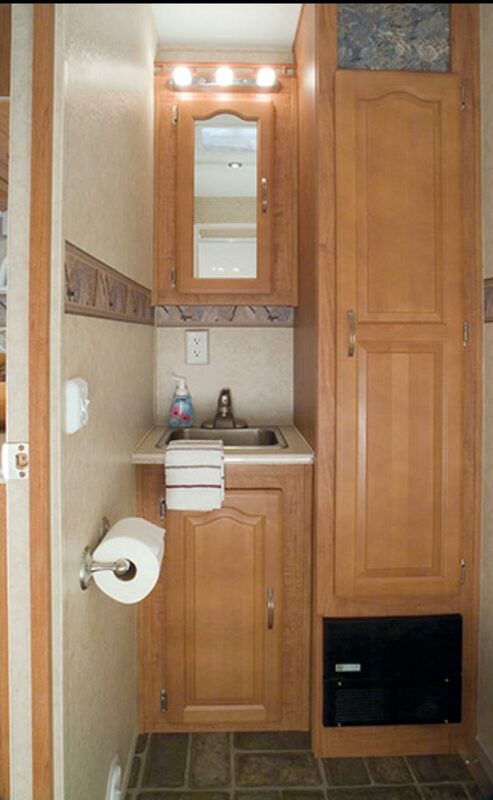 True, having a bathroom attached to your kitchen might sound a lil’ nasty… but so are public restrooms. Cheers. 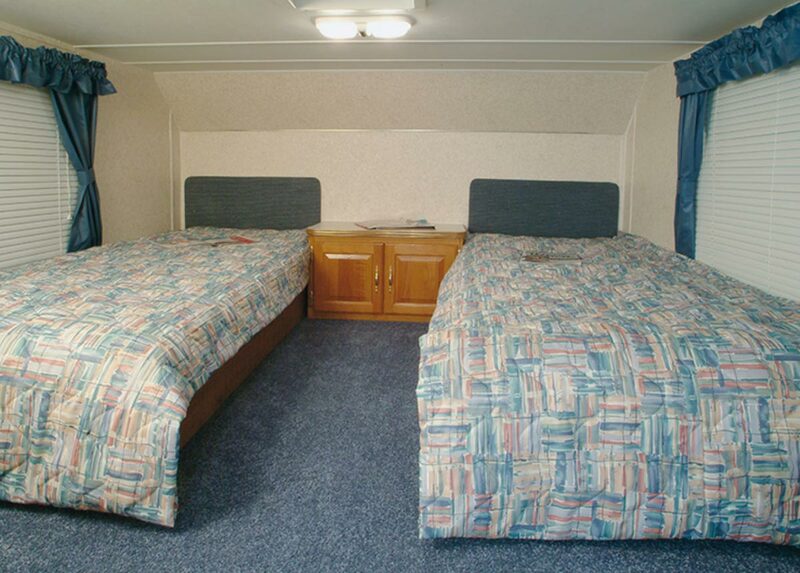 Some of our customers like having living quarters attached to their food trailers. This is precisely my we offer many different living quarter options. We can craft just about anything layout that you can imagine. 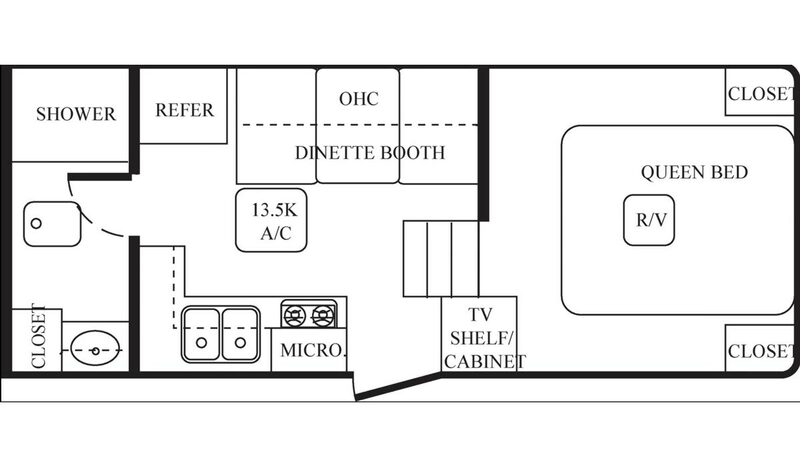 Below is a short slideshow showing some floor plans and interior living area pictures. 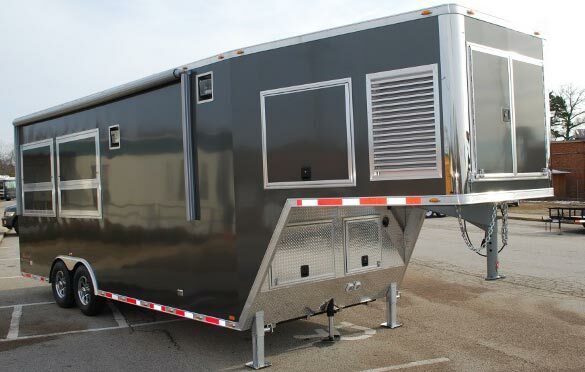 We do offer gooseneck trailers for most of our living quarter rigs and rigs longer than 24’. It can be added as an option on any rig. If you would rather have a gooseneck, please let us know and we will price it out for you. Concession windows are nice to have in inclement weather and help keep the flies out. They can be added as an option to our standard 3’x6’ open air concession door. Keep in mind though that they will limit your serving space down to one person at the window and can tend to bottleneck your line when people who are trying to order are interrupted by people picking up. Also, in any rigs with a cooking line, when closed up tight your hood will pull a considerable breeze through the opening. Though a nice breeze on a warm Summer day sounds nice, it can be irritating trying to write an order down as your tickets are blowing around. It can also be pretty chilly in front of that window in the Spring and Fall…just something to think about. Our “Stay Clean” automated floor cleaning package is great at the end of the day when you are tired of cooking and just don’t feel like cleaning that pesky floor again. We pair an IROBOT wet dry automated vacuum and mopping robot with a specially designed single piece super durable floor liner that is anti-slip yet easy to clean. All of the appliances and work stations are raised to provide clearance for cleaning. It will automatically clean and mop your entire rig’s floor without getting stuck…under the appliances, around the work stations, and against the walls. It is programmed to automatically choose wet mopping, damp sweeping, or dry sweeping…whatever your floor needs. (Truthfully, it doesn’t do a very good job on pools of grease or oil so you will want to wipe those up before sending it off) It will stop at tough stains and scrub back and forth over them until the stain is gone. The cleaning pads are inexpensive and easy to change. Just fill the jet spray reservoir with bleach and it will sanitize your floor too. When it is done cleaning it will dock and recharge itself. It is a great time and labor saver to any rig we build. But mostly, there is just something cool about your floor cleaning itself while you sleep. The possibilities are endless when it comes to cabinetry. They can be configured many different ways and come in a variety of colors. You can also add lights under your wall cabinets to illuminate the prep area below and add utensil drawers to help keep your kitchen organized. Our all aluminum cabinets will never rot from a leaky faucet and look great. They also include doors and drawers that latch closed to prevent them from opening when going down the road. You can also upgrade to base cabinets with adjustable shelving under your prep areas instead of the standard fixed undershelf prep tables if you wish. 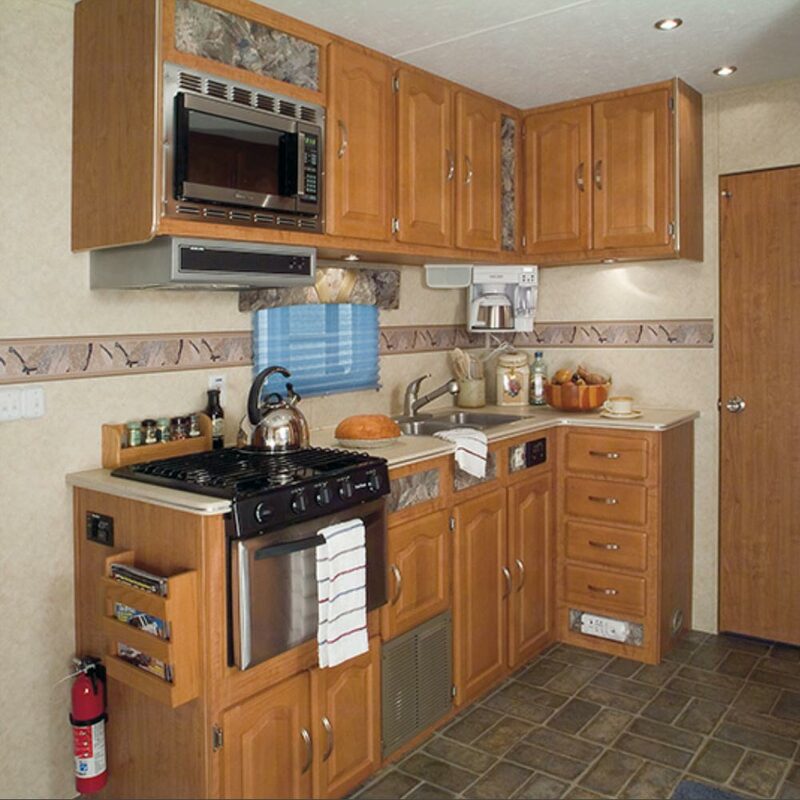 We can match the color of your cabinets to the outside of your trailer too. Our PA sound system package is great for people wanting to vocalize their menu, play music or jingles, or to just have fun with. They run on a 12volt system and are easy to use, and come complete with an air horn and microphone. Draw in customers over the microphone or simply plug in your Ipod or MP3 player and let it play your favorite “ice cream truck tune.” It can be added to any of our rigs. Let’s face it…some days at those long fairs can drag on and be downright boring while you’re waiting for the night time crowd to arrive. 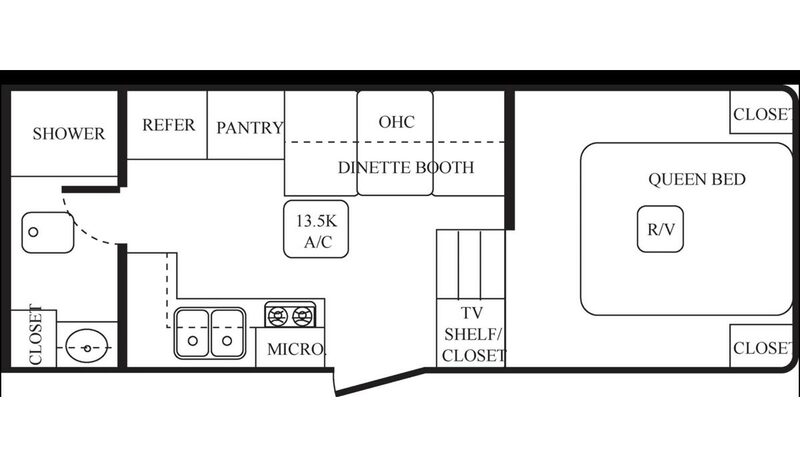 Our satellite TV package includes a 42” flat screen HD TV and a mobile auto-tracking dish that mounts on the roof. It will automatically find a signal…even as you as going down the road. You can attach a DVR or communicate with your own DVR back home. 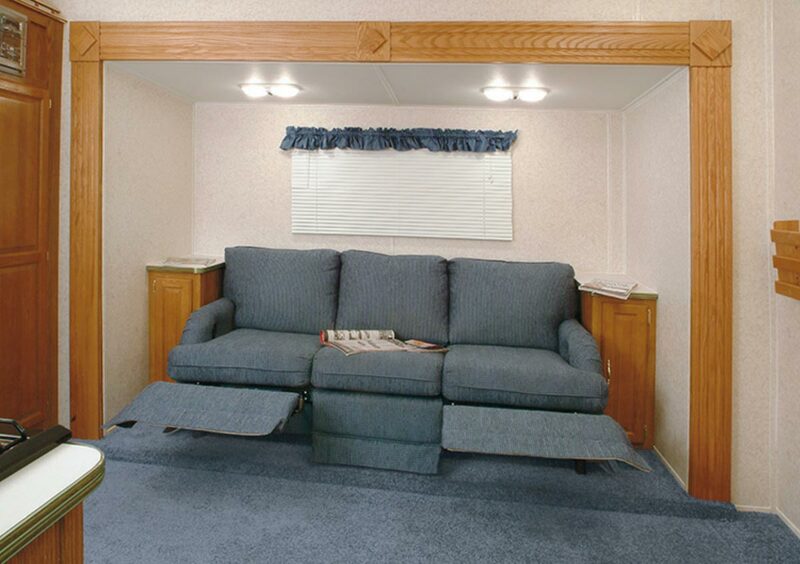 The TV can be mounted inside to swing away from the wall when in use and stows neatly against the wall. It can also be mounted flush into the ceiling and drop down on an automated cantilever when in use and tucks neatly into the ceiling and away from the grime when not in use. Or you can mount it outside behind a lift up access door and be used as a menu display. Or mount it out on your optional covered rear porch with a surround sound package and relax in between customers or watch the game while you cook. Our marquee sign option turns your concession door into a marquee sign when it is open. They can also be lighted if desired. They can be as short or as tall as you want and are a great way to advertise and attract customers. They can also be used to help let your customers know where to “order” and where to “pick up” as well. Dumping your tanks can be a stinky job. Understandably there are quite a few people who don’t want to be anywhere near that waste valve gate when it is opened. For those folks, Our automated waste dump option allows a person to dump the holding tanks at the push of a button from inside the rig…far away from the mess going on outside. *Many more options are available. Give us a call if something you want is not listed.